The seemingly extensive fragmentation of Kythnos coast, about 104 kilometers long, creates 92 bays, coves and beaches, making the circumnavigation of the island a wonderful experience. Along the 36 nautical miles which constitute the perimeter of the island, you will discover beautiful landscapes, swim in pristine waters and lie on sandy beaches with most of them protected from the Meltemia (northern summer winds). As it is 52 nautical miles from the port of Piraeus and just 26 from Lavrio, the island of Kythnos is a popular destination for those who love excursions at sea. A sailing trip is generally an awakening of the senses, even when you are on a smooth sea, you must be alert and prepared. However the feeling you get behind the wheel, being cooled by the spray of the waves while enjoying the vastness of the blue seascape is unique. Your excursion can start from the marinas of the Saronic Gulf or the marina of Lavrion, from whence during the summer months many boats and sailboats depart daily bound for unspoiled Kythnos. Several marinas operate at the Saronic Gulf indicatively we mention the following: Alimos Marina, Agios Kosmas, Flisvos, Zea Port, Faliro and Vouliagmeni. We also point out that the marina of Alimos on the NE coast of the Saronic Gulf, is the largest marina in the Balkans, and has 1,100 mooring spots, at which water and electricity on the pier are free of charge. The closest marina with Kythnos as its destination is one that operates at Lavrio and has 680 berths and a ship repair unit. At the port there are facilities for electricity, fuel and water. Near the marina there is also a supermarket for your supplies. Also within walking distance are restaurants, cafes and bars. When you follow the route from Lavrio to Loutra (Baths), it would be good to spend as much time as possible in the opening en route to to Kefalos and the area between Bathi Avlaki (Deep trench) and Katakolon to the northeast. This need arises because of the peculiarity of the Bougazi (pronounced currents) between Kea and Kythnos, which start from the coast of Kea to Kythnos. The seabed depth is about 150 meters and it suddenly deepens abruptly to 450 meters. This creates a "trench currents " which can reach 7 knots. 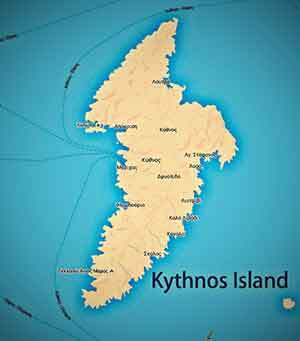 The Kythnos sailing trip is basically a “baptism” for open sea trips as it requires one to enter the Cavo Doro, that is should one’s starting point be from Lavrio to the popular Loutra (Baths). Having succeeded this “baptism” satisfactorily, gives the confidence to continue wandering about the other Cyclades. Specifically visiting the picturesque Loutra (Baths), which are usually packed with sailboats and other pleasure craft. Other excursions to the other Cycladic islands, beyond Kythno’s coast, are fitting such as neighboring Serifos. In addition to the Loutra marina (Baths marina) or the port of Merichas, Kythnos also has many other moorings and beautiful destinations both on the eastern and on the western coasts. More information can be found at the link below. It is advisable to arrange to chart your course and choose the refueling points for your yacht, which could be the port of Merichas, the marina of Loutra (Baths) or Panagia Kanala (Virgin Kanala), and other smaller berths in which there are usually one or two shops and taverns. 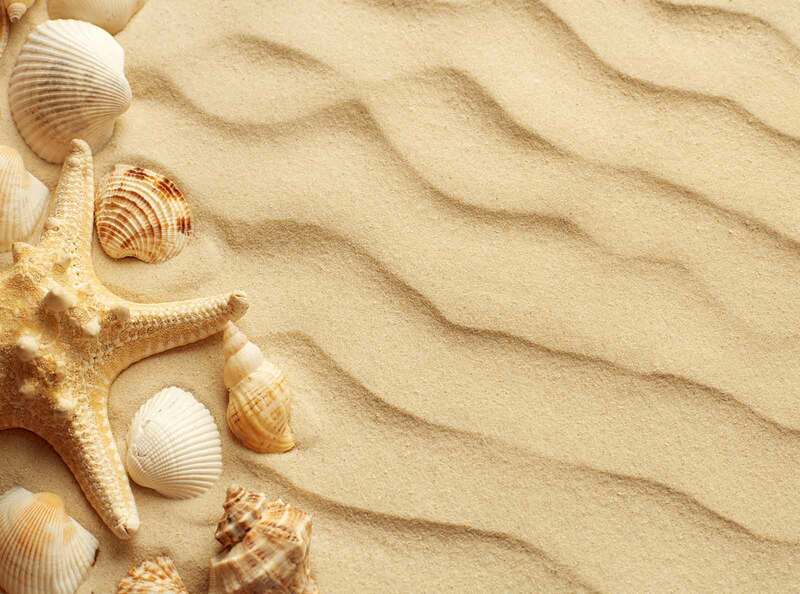 When plotting your course, select the beaches you will relax, swim or stay overnight at. The island of Kythnos has many options including the popular beaches of Kolona (Column beach) of Apokrousi (Repulse beach), the Episkopi beach (Diocese beach) and the Megali Ammos (Great Sands), as well as other more secluded beaches such as like Mavrianou, Gaidouromandra (Donkey wall) and many more. Having the unique benefit of sea travel with your vessel, be sure to take a look at the east coasts sea cave with its stalactites, the Karavospilia (Boat cave) to the north and Moutsouna with its strange rock formations, shortly after Stifo bay (Astringent bay) in the west. Anyone who travels with sailing vessels knows that they need hands, so choose the right company, you’ll need 2-3 willing people to tie in at marinas and piers, to turn the sails on board, to help with refueling but also more mundane things like cleaning and cooking. If you choose a skipper for your trip, you need to discuss your destinations on the island with him, and which coves and anchorages of Kythnos you prefer. Do not forget to check in case of a chartered vessel that all its utilities operate, the bilge pumps, water reservoirs etc. Also raise and drop the anchor to see if it works correctly. Kythnos as classic Cycladic island is beaten by winds for a period of usually about 40 days from mid-July up until the end of August. Usually they start in the morning and then break in the afternoon, the wind stops but the waves continue. Also there are often gusts descending from the ridges of the mountains. The reef between the bay of Agios Giannis (Saint John) and Agios Stefanos (Saint Stephen), known as “Xera tis Ageladas” (Cow reef). The reef of Kanala just before the cape of the peninsula.